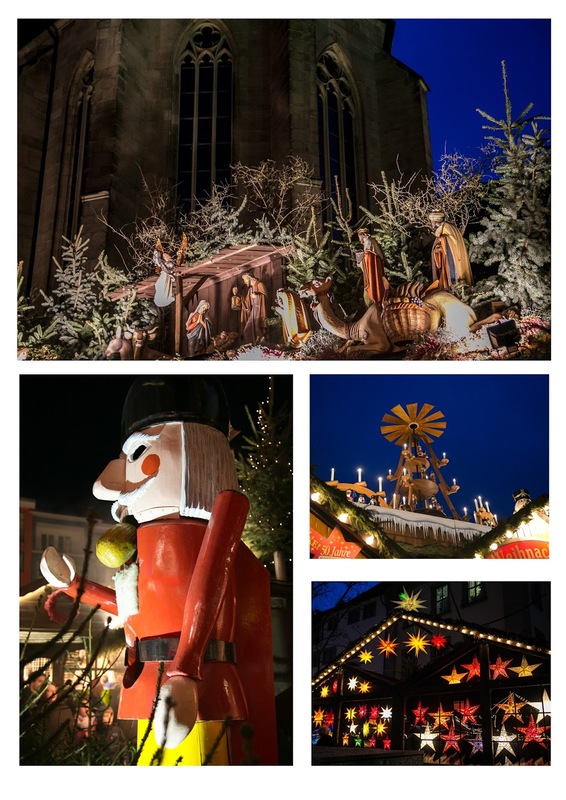 Germany is known for its Christmas Markets. Practically every town and village has one and they range from small and quaint to massive with hundreds of stalls. It sets the stage for a month of Christmas celebration and there is almost no place with better holiday spirit. 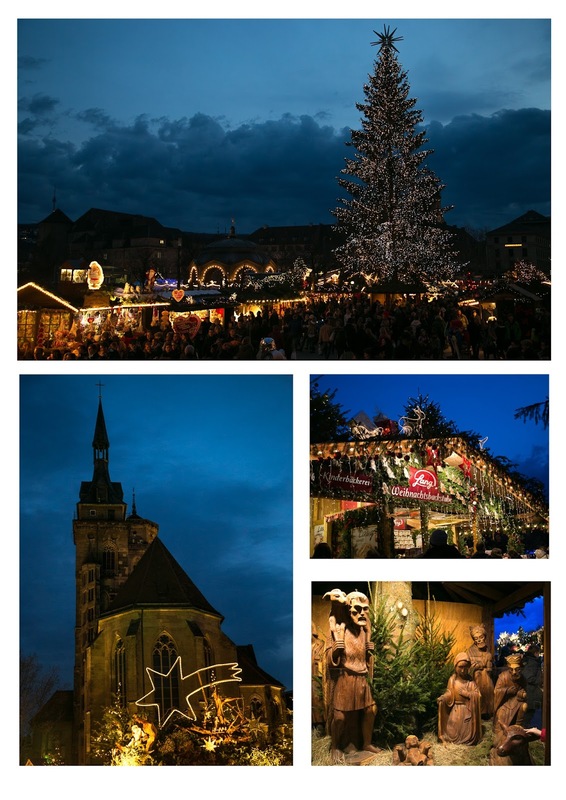 Nuremberg gets all the press for being the best Christmas Market, but it's not my favorite. If I had to choose just one, I'd choose Stuttgart with Augsburg coming in second. 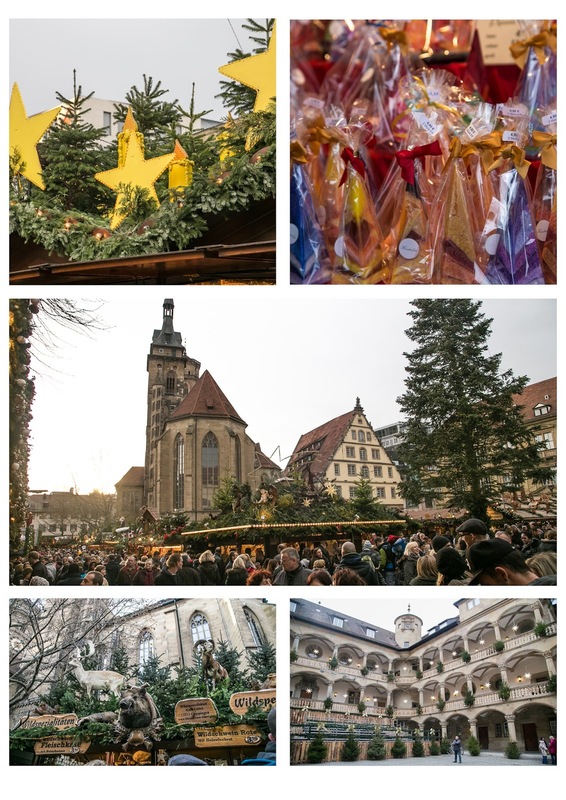 Stuttgart is high on my list because of it's sheer size, variety of stalls, plethora of decorations and proximity to pedestrian shopping district so you can get all your shopping done in one location. There is even a family section with rides for your little ones. It truly is a place you can take the entire family for a day of fun! What Stuttgart lacks is an old town center. The city was completely bombed out during World War 2, so the area where the market takes place lacks the historic charm that Nuremberg has, never the less, it is one of my favorites! 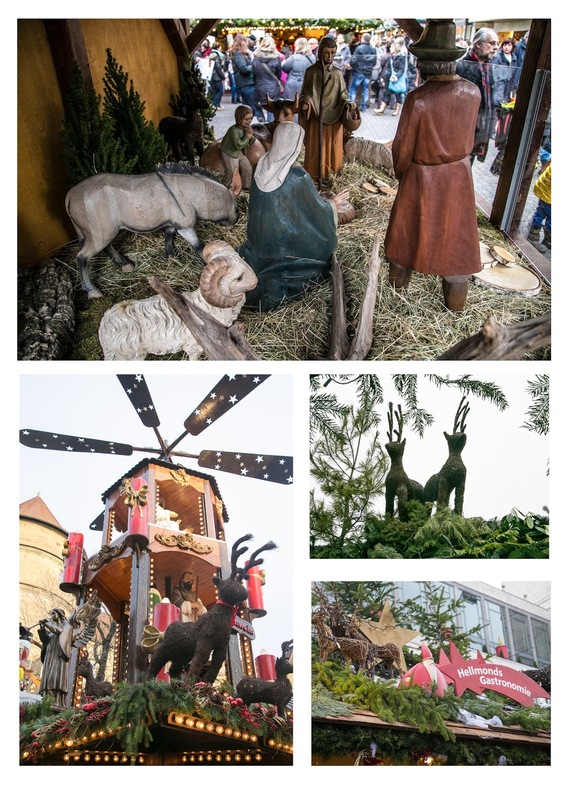 With street musicians tucked in corners and alley ways there is no way to not enjoy yourself So, grab a cup of cocoa and enjoy the pictures from Stuttgart and make a mental promise to visit Germany one year at Christmas. Next week I will be featuring my favorite Christmas posts from the past so I can enjoy time with my family. Happy Holidays and see you next year! 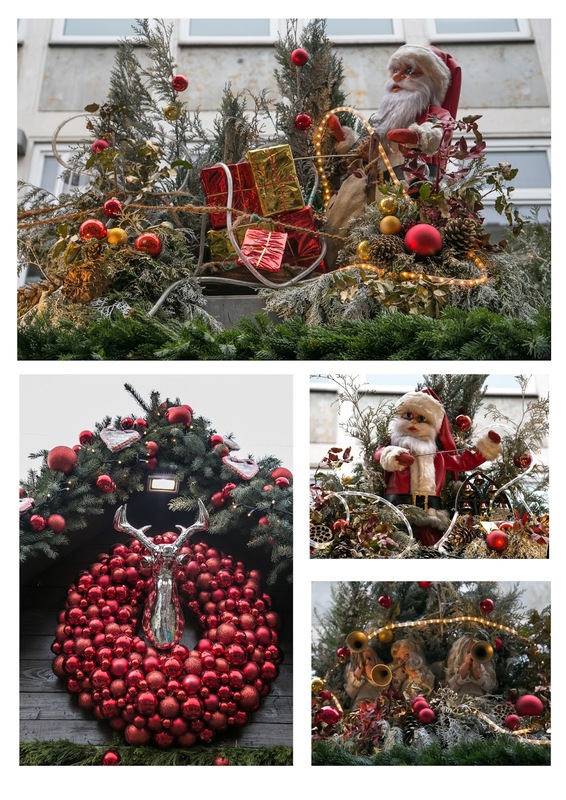 I would adore visiting the Christmas markets in Germany! This one looks so amazing! Love that huge lighted tree! And the lifesize nativity. It's all just beautiful! Great pictures - they really capture the atmosphere. I went to the Christmas markets in Bruges last month, but I'd love to get to some in Germany one year. Christmas markets are my favourite thing about winter in Germany. 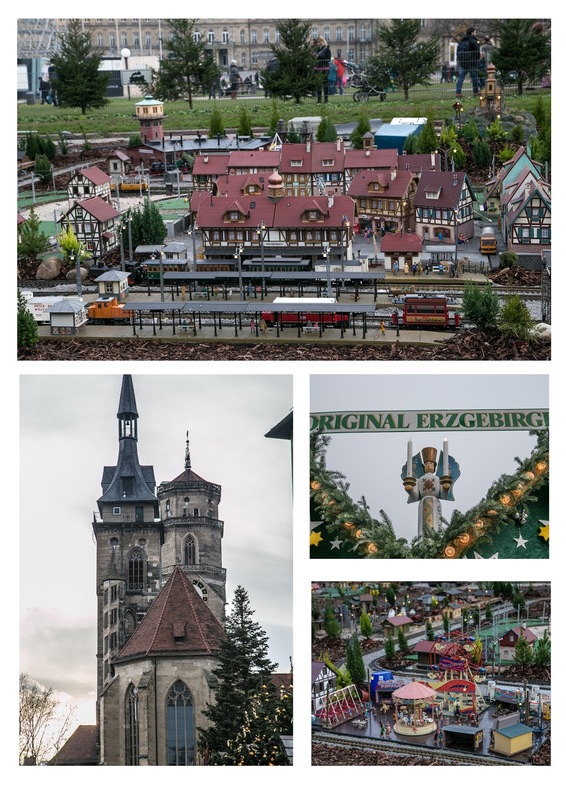 I can almost smell the Gluhwein from here! Unfortunately, since my husband migrated to Australia to escape the German winters, we don't get there at that time of the year very often. Thanks for the photos - great memories. how wonderful...i'd love to see this in person one day! thank you so much for linking and have a merry christmas!